S & S Cleaners in Gainesville, FL offers professional and affordable dry cleaning and laundry services. S & S Cleaners offers established clients the service of a once a month billing. Usually, this charging opportunity is established by leaving a credit card on file. Charge customers can also receive a discount for prepayment. Accounts billed by mail on the 25th of the month and balances are due upon receipt. Dry cleaning is a process of soil removal that involves no water. Instead a solvent is used. 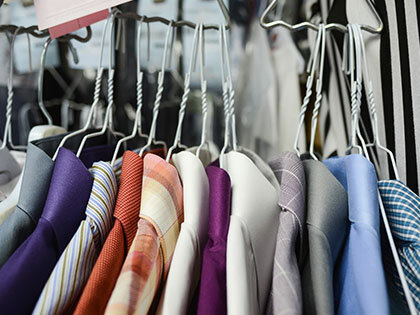 Here at S & S Cleaners, we use a petroleum based solvent that is widely regarded as the best solvent for silks, beaded items, and fine formal wear. Petroleum solvent is a very light liquid that impacts your garment colors and size in a much less aggressive manner than either water or the industry standard solvent PERC. Hence fabric life, color retention, sizing and measurements of garments are protected by dry cleaning. Dry cleaning will also deter moth damage to woolens and extend the garments life expectancy. In some instances, a garment must be washed to effectively remove water bound stains. Stains like blood, mildew, pet urine, and oxidized age stains are a few of the types that may require the use of water and specially formulated "wet cleaning” detergents. 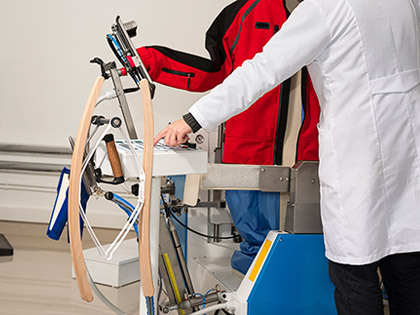 Remarkable results are possible with our years of experience in handling problem garments. Inspection – Garment is inspected for stains, tears and imperfections. Cleaning – Removes soil and restores proper oil and pH levels. Air Dry – Garments are hung up and air dried. Low Heat Fluff – Items are tumbled in a warm dryer for a short time to relax skins. Custom Pressing – Garments are pressed to original dimensions using low heat. Restore Color – Garments are spray-dyed using custom blend finishes. Final Inspection – Before garments are bagged for delivery, they are checked a second time to assure they look their best. For expert care and attention, call Radiant Leather Care at 866-783-3322 today! Drapery and curtain cleaning presents several challenges for the homeowner. First, you must be certain the fabric strength is adequate for cleaning. Prolonged sun exposure can and will dry rot many fabrics and linings. Preferably before drapes are removed for cleaning, they should be checked for strength. You can do that by gripping the most sun exposed area between both thumbs and index fingers. If upon moderate pulling of the fabric and if it tears easily, then the drape cannot be cleaned without risking damage. If you have already removed your drapes we can help you test their strength when you bring them in. S & S Cleaners also offers take down and rehang service with a local professional drapery installer. The installer can remove and de-pin your drapes, bring them to S & S Cleaners for processing, and re-hang them for you. Please call for an appointment and further details. S & S Cleaners offers a wide range of cleaning options for area rug cleaning. Smaller soft back rugs may be cleaned or washed depending on their construction materials. Processing time for these "in house" cleaned rugs is usually two to four days. Larger or oriental type area rugs cannot be immersion cleaned. S & S Cleaners maintains a relationship with Radiant Leather Care and rug cleaners for these types of rugs. Radiant Leather Care processes most any type or size rug on a two week schedule. Severe stains, such as pet urine or beverage spills, can usually be successfully cleaned, and extra attention can be given to these conditions. Careful inspection of your rugs at the counter can help you understand how well they will clean. Proper care of your spreads and comforters can be a tricky process. Our years of experience help us decide whether to dry clean or wash your bedding. Spot removal is usually successful for most common stains. We do not clean or press on Saturday. Saturday is for drop off and pick up only. Copyright © 2019 S & S Cleaners. All rights reserved.